My daughter and I have occasionally participated in the Wisconsin Shop Hop. 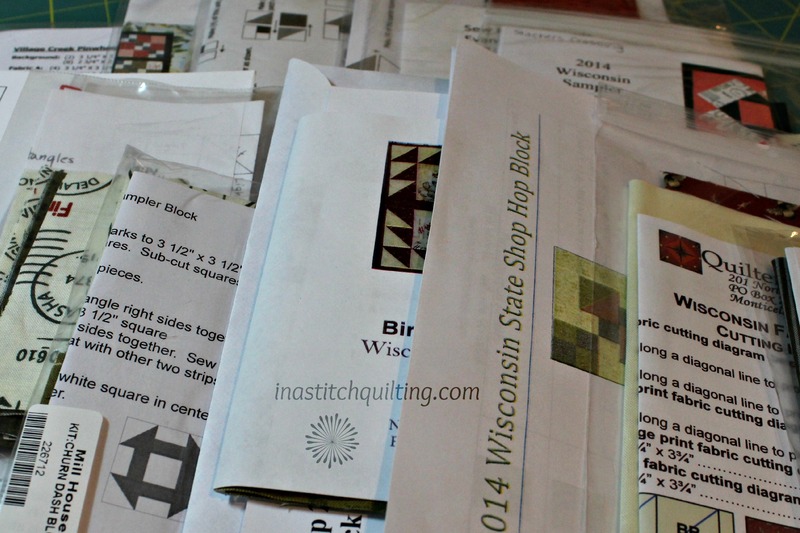 It’s an annual event occurring during the month of June encompassing 50+ quilting shops all over the state. To visit each merchant it would take days of traveling and thousands of miles. Typically we manage to visit 4-5 shops. Finding time to extend ourselves beyond that has been difficult. This year, however, was the exception. Don’t get me wrong, I’m not implying that we managed to visit every shop on the tour. Good heavens, I think I would need my head examined if I were to contemplate tackling that challenge. Our goal was much more realistic. Visiting all of the shops in one whole section was the plan. 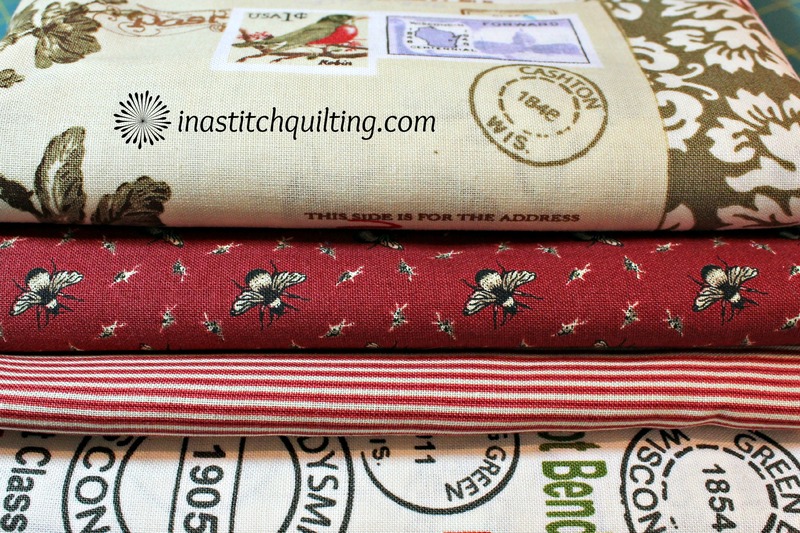 That’s 14 irresistible opportunities to snag the best and very latest morsel of fabric, sure to please any quilters pallet. We began our journey at 9:00 a.m. with loads of enthusiasm, a detailed map, money in our pockets and the determination to successfully attain our goal. The rules of the Shop Hop required the participating businesses remain open until 6:00 p.m. Somehow we thought 9:00 a.m. until 6:00 p.m. was enough time to achieve our goal along with a stop for nourishment and refreshment. One by one we methodically checked off the shops on our itinerary. As the day wore on, the miles racked up and our pockets became lighter, our energy as well as our enthusiasm faded. What started out as fun had morphed into a mountainous climb. Since we are not ones to admit defeat, quitting was not an option, although the thought did cross our minds. Late in the day it became obvious the miles yet to travel and the number of shops yet to visit were greater than the hours left on the clock. With that realization came the sense of defeat. The light at the end of the tunnel just wasn’t coming quickly enough. It was obvious that finishing what we had set out to do was going to take one more day. The merchant at the last shop we visited encouraged us to attempt one more stop. She informed us the distance between hers and the next was short. Her encouragement provided enough adrenaline for us to press on. After completing our purchase we swiftly headed back to our vehicle. We set off in the direction we had understood the shop to be. Miles passed before we realized we had made a wrong turn. The reality of our mistake hit us hard. What little enthusiasm we had left escaped like air from a balloon. All that was left was the ride home and the reality that we had missed our mark. The ride home was at first quiet. We were, after all, exhausted. But as we progressed the thoughts of adding one more day to our adventure were tossed around. Just because we were not able to reach our goal in one day didn’t mean we couldn’t accomplish what we had originally set out to do. A good nights sleep was sure to refresh our spirits and provide the shot in the arm we would need to visit the remaining shops. The second day of our Shop Hop was tackled at a much slower pace and as a result way more relaxing. As we were to discover it actually was a blessing to have not reached our goal on the first day. One of the shops we had missed turned out to be a real gem. We had never been to the shop before and were amazed to find it only 30+ minutes from home. The fabric selection fit our tastes perfectly. How sad it would have been to have hurried through in order to meet our One Day goal. Our 2014 Wisconsin Shop Hop excursion came to an end after traveling well over 300 miles, visiting 14 shops and acquiring wonderful specimens of fabric. With that accomplishment came the satisfaction of qualifying for the drawing of a prize, and the discovery of new and exciting opportunities. 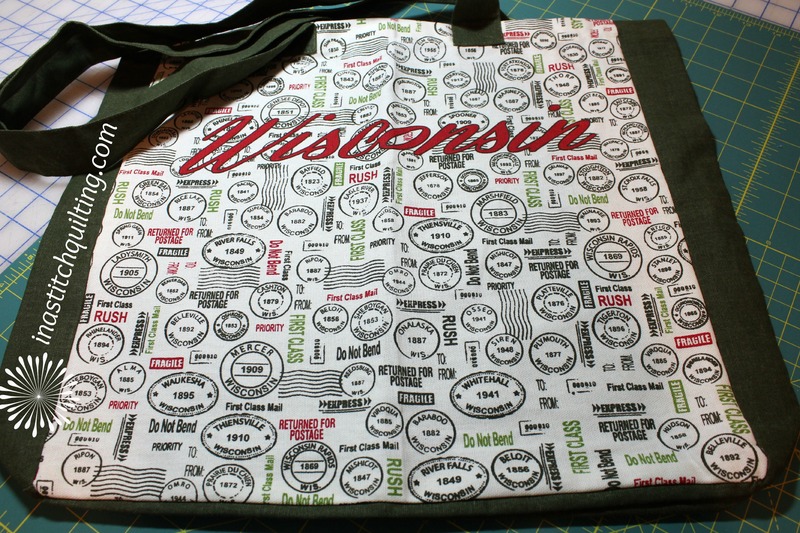 With the experience we gained, plans are already being made for the 2015 Wisconsin Shop Hop. Our plan next year will be to divide our travels into two days. Who knows what mischief we will get ourselves into.